1 Onisaburo Deguchi, a Great Japanese Psychic in the early 1900s. Onisaburo Deguchi, a Great Japanese Psychic in the early 1900s. 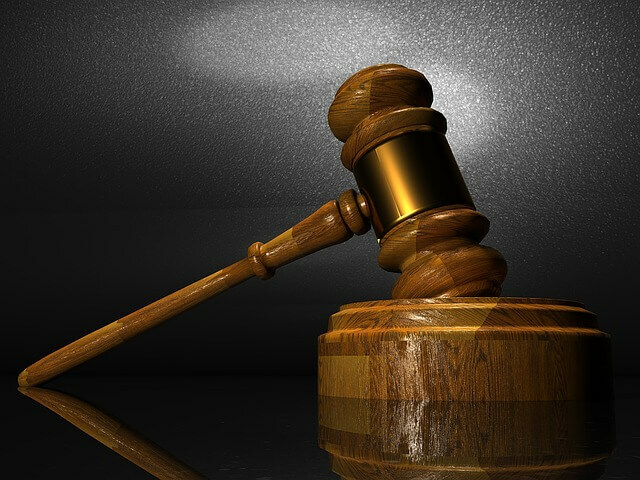 In 1938, a bizarre court hearing was held in the Kyoto District Court in Japan. In this hearing, the accused was Onisaburo Deguchi (1871-1948), who was a spiritual leader of religious movement in Japan in the early 1900s. Onisaburo had a great ability to foretell the future and he left a voluminous amount of prophetic writings. Onisaburo's predicted the future with an accuracy of more than 95%. Even today, his predictions are coming true, such as the release of Apple Watch, Multicoptor, Maglev and so on. Onisaburo foresaw a lot of the future events with his extraordinary spiritual power of prophecy. However, the authorities of the Imperial Japanese Government were afraid that Onisaburo was plotting against the Emperor Hirohito. Actually, in prewar Japan, Onisaburo was greatly popular among high-ranking soldiers, politicians and important figures due to his uncommon ability of future prediction. That is the reason why Onisaburo was convicted and tried for lese majesty. The trial of Onisaburo was very bizarre in Japanese court history, because he made future predictions during the trial in court. Onisaburo's predictions in court recorded in the Stenographic Record of the Kyoto District Court. Surprisingly enough, some of them came true. 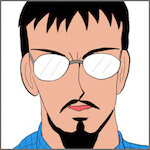 Here, I will introduce some of his amazing predictions during the trial in the Kyoto District Court. 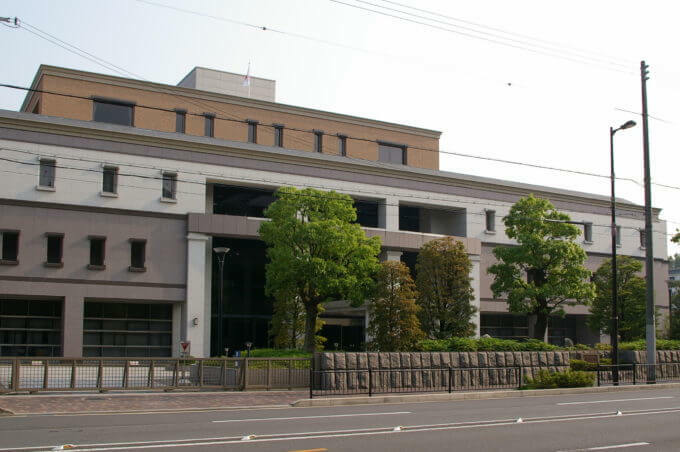 Onisaburo in the Kyoto District Court. Onisaburo is sitting on our far right in the first row in the picture. 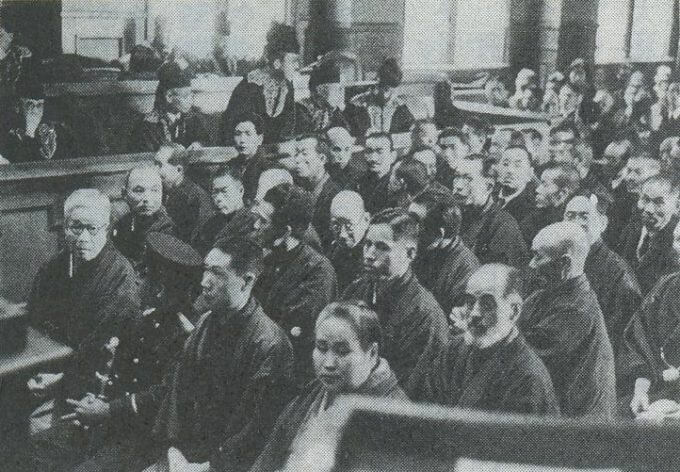 The court hearing of August 10, 1938 was bizarre in Japanese court history. Onisaburo talked with the chief judge of Kyoto District Court about his psychic ability to "see the future." You have said 'Tokyo will be totally destroyed to the ground' so far. I can't make out what you mean by those words. I mean, Tokyo will be totally burned down to the ground by air raid. As shown above, Onisaburo predicted that Tokyo city will be burned down by air raid. Amazingly, the above conversation with the chief judge was recorded in 1938. At that time, everyone in the court did not believe Onisaburo's prediction. However, 3 years after the above court hearing, the Empire of Japan attacked on Pearl Harbor in Hawaii and then declared war on the United States and Great Britain. 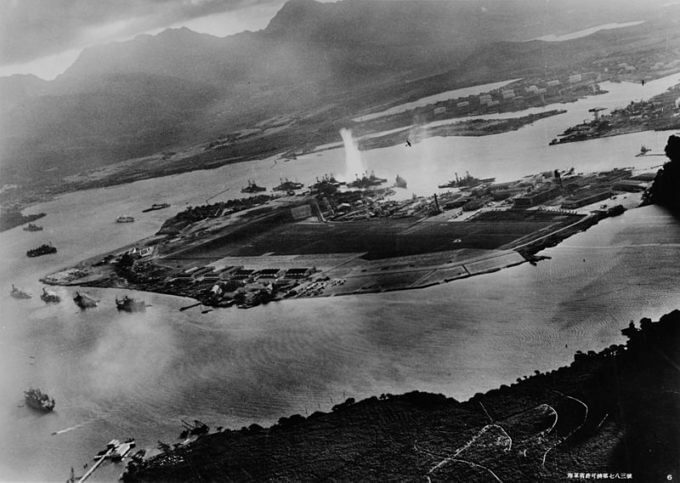 Photograph of Battleship Row taken from a Japanese plane at the beginning of the attack. 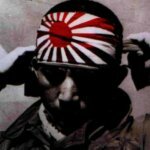 Many Japanese had never thought that Tokyo would be burned down to the ground as Onisaburo predicted, because the Japanese gained a series of victories at that time. However, the war situation changed after the defeat at the Battle of Midway Island that took place between 4 and 7 June 1942. 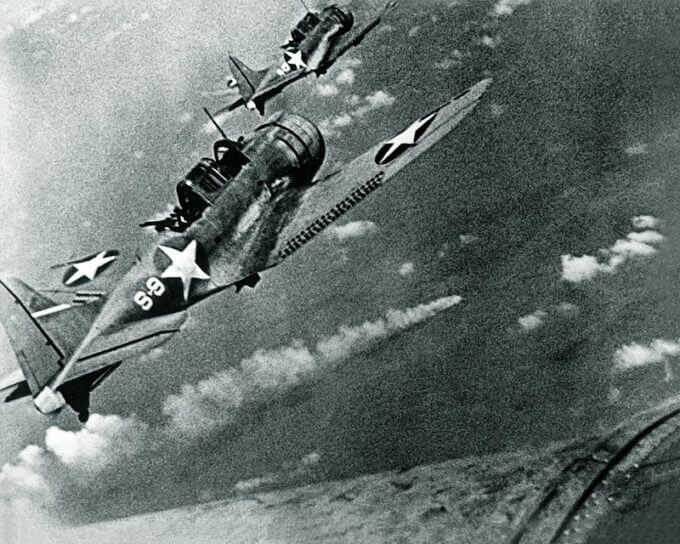 U.S. Douglas SBD-3 Dauntless dive bombers of VS-8 from USS Hornet about to attack the burning Japanese cruiser Mikuma for the third time on 6 June 1942. In 1944, the United States captured the Mariana Islands chain from Japan. The Northern Mariana Islands were desired by the U.S. as bombing bases to reach the Japanese mainland. 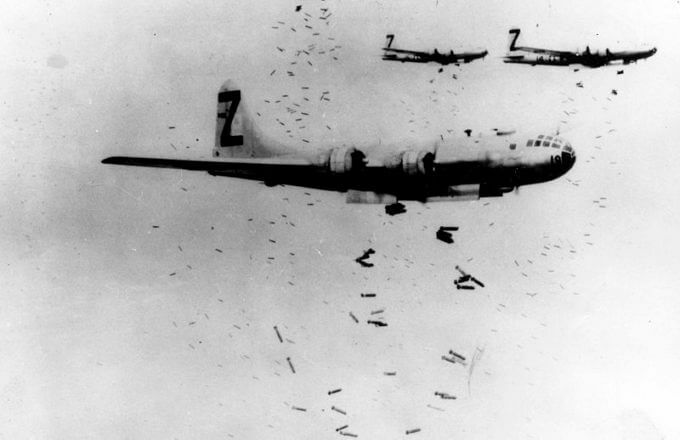 In November 1944, the United States Army Air forces began to bomb Tokyo by B-29. 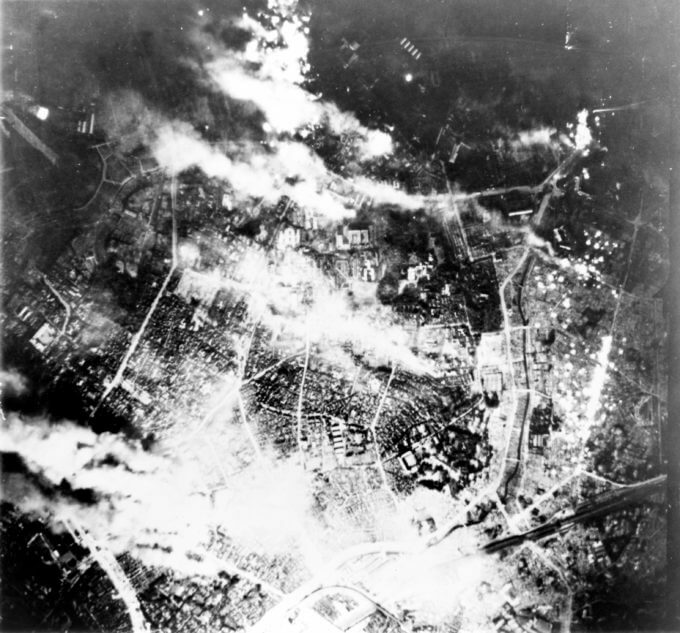 B-29 Superfortress bombers dropping incendiary bombs on Yokohama during May 1945. Tokyo residential section was virtually destroyed. 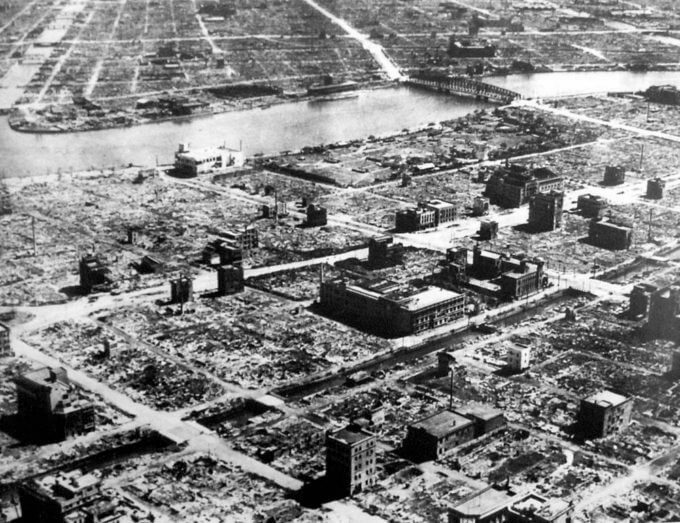 Tokyo was totally burned down to the ground in 1945, 7 years after the Onisaburo's prediction. Onisaburo really 'saw the future' of Tokyo, as he told to the chief judge in court. In the court hearing, Onisaburo also predicted the restoration of Tokyo after the war. Tokyo will be totally burned down to the ground by air raid. However, after that, the underground city will be developed in Tokyo. 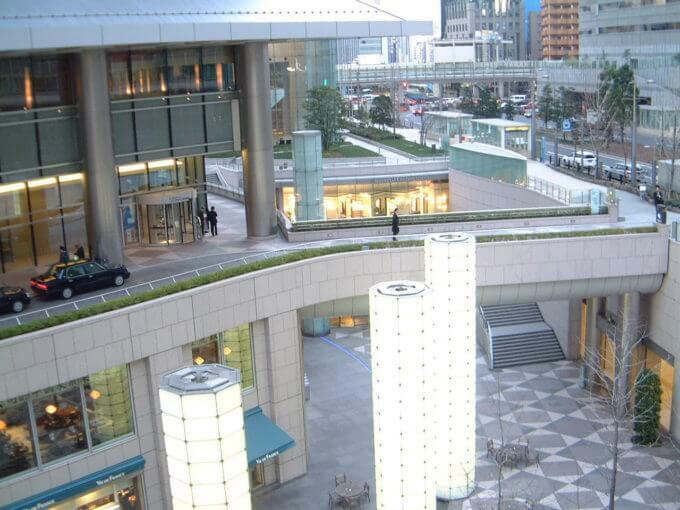 Actually, in the present Tokyo, stations such as Shinjuku and Shibuya have large underground shopping malls. Also, between those stations, there are connecting passages which span a few blocks for commuters. Tokyo's network of tunnels is seen as one of the many megalopolis features of the city. In this way, the underground city was developed in Tokyo after the city was totally burned down to the ground by air-raid. The Onisaburo's second prediction in court came true with accuracy of 100%. 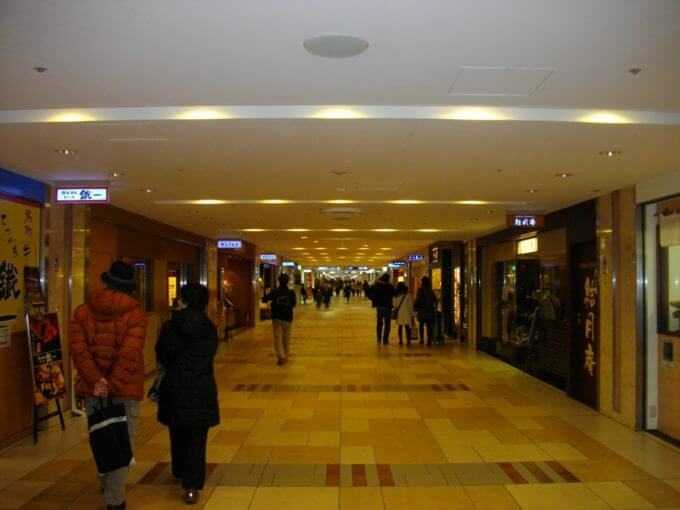 Perhaps, Onisaburo may have "seen" the present underground shopping malls and the network of connecting passages. Furthermore, Onisaburo also predicted an amazing future technology in the court hearing. As science advances, the communication stations will be built to the bottom of the sea. I foretell this, because I saw those stations. Yes. I saw them in the spirit world. In the spirit world, I went to the sea and saw the submarine stations. I'm not telling you a lie, sir. If young people here remember what I just said, they will understand in the future what I really mean. 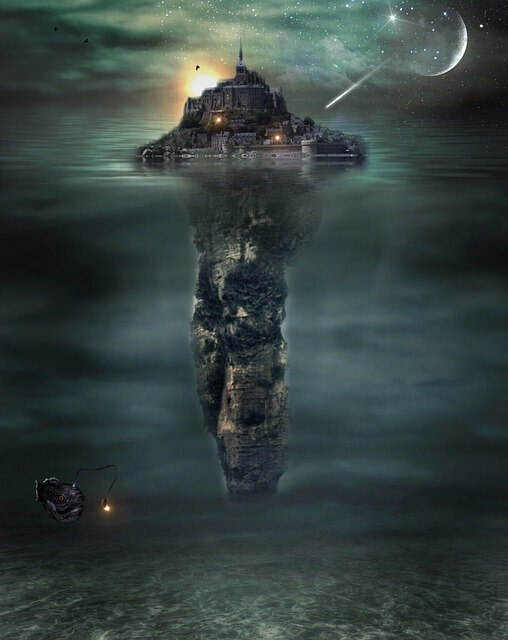 It seems that the above Onisaburo's prediction is yet to be realized, because the communication stations in the bottom of the sea have not been developed anywhere in the world up to now. However, in the near future, the time may come when we will be able to communicate with people all over the world through the submarine communication stations. 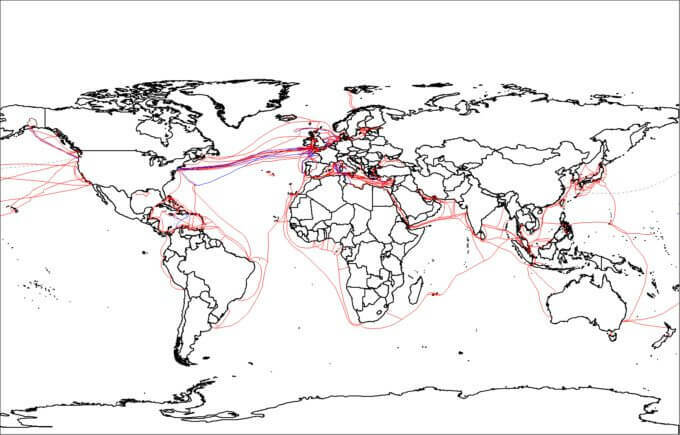 Actually, submarine cable network is being laid across all the seas and oceans of the world. Therefore, the submarine communication stations may also be realized in the near future, because more than 95% of Onisaburo's predictions really came true! 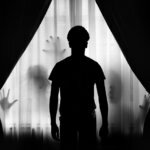 What Is Ghost? 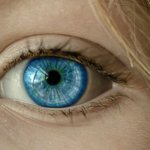 Where Do They Come From and Where Do They Go?